All Furniture products from CV Ajisaka Baru has been getting timber legality verification system (SVLK) or Timber legality Assessment System (TLAS) number BRIK VLK 0131 which the system has to ensure that the resulting product is eco friendly especially with the advantage that the source material used is from recycled teak material or reclaimed teak. TLVS or TLAS is one of the government's commitment to undertake missions around the world “Go Green”, So CV Ajisaka Baru in selling products not only the motto of course but directly implements the desire of all people on this planet who want real action to implement what is known as the Go Green RECYCLED processing from used materials such as teak materials come from neglected house or disassembled home of former home need more attention and carefully. You could do it yourselves or you ask some companies like us to build your furniture orders from any kind of recycled materials such as recycled teak to build furniture items and furnishings for your home and your furniture stores.The important factor is not just timber sourcing, it's also about who makes our cabinet (skillful carpenters) and how it's build (knowing recycled teak materials). It is not just creating imminently obsolete furniture for the sake of trends. 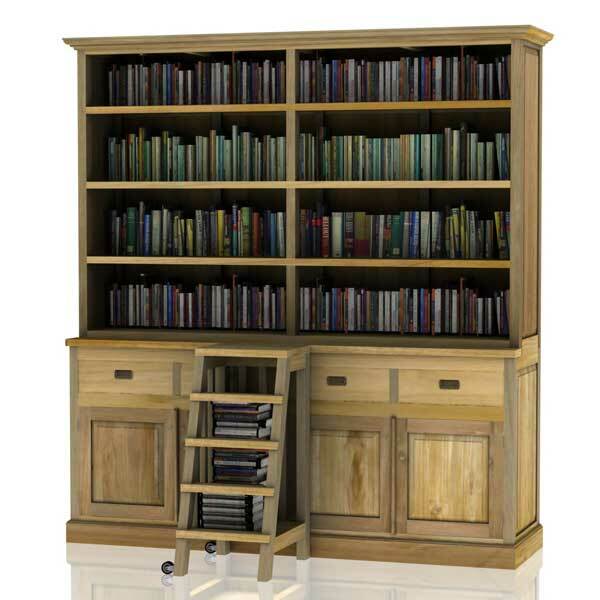 The cabinet that we build are made to last, both structurally aesthetically.To make your interior complete, a teak cabinet is of course desirable! We can supply these beautiful and timeless cabinets in mainly 2 variants, the sleek / modern version and the classic cabinets with frames. The tighter variant has handle-less drawers and is finished straight and straight. The classic version has larger lists and is finished with a pint instead of legs. There is a suitable solution for every interiorAJISAKA SPECIALIST RECYCLE /RECLAIMED TEAK FURNITURE SINCE YEAR 2003 so, PLEASE TELL ME ABOUT YOUR DREAM OF THE INTERIOR YOU WANT. Recycled teak Triple Deck Cabinet is a multi-function modern design storage.